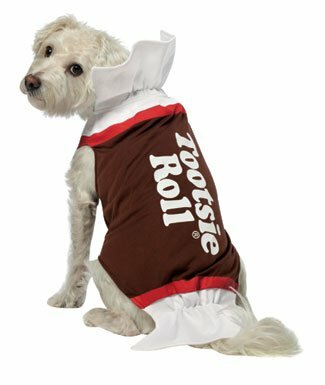 Tootsie Roll dog costume is one of the popular pet costumes in 2012Who's on parade this Halloween? You, your kids, or your pets? The National Retail Federation (NRF) says nearly 72 percent of Americans will celebrate Halloween this year, the most in the survey's history. But what about our pets? Pet owners are expected to spend a record $370 million on pet costumes in 2012 according to the NRF. That's 20 percent more money than was spent on pet costumes last Halloween, even though there are about the same number of pets per household as last year. Why do we dress up our pets? Consumer anthropologist Robbie Blinkoff told USA Today that it is because pet owners 'are dying to get dressed up themselves. We dress up our pets, who are an extension of ourselves." source: NRF, USA Today See what else we are spending on for our pets here. Acupuncture For Pets: Prickly Placebo Or Productive Procedure?